Still at Devonport Station but I have moved about a hundred yards from the last bridge. 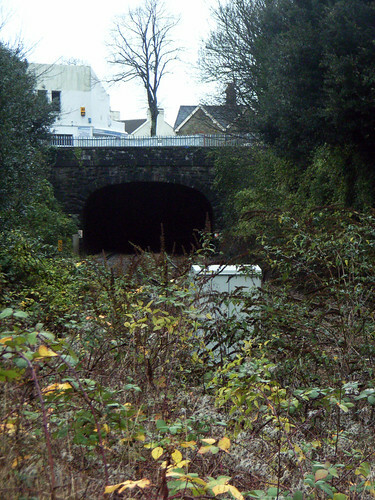 Through the undergrowth here you can just see the entrance to Devonport Tunnel which carries the main line under Albert Road. This is unusual in that there is another tunnel underneath this one - although its no longer in use. I will be posting more on this at a later date. More here.